Located north of U.S. Route 26 near Beaverton, in Bethany, OR our dental office is conveniently located to serve patients in the communities of Hillsboro, Cedar Mill and Southwest Portland, Oregon. Here at Bethany Family Dental we believe in delivering the highest quality, comprehensive dental care in a friendly and professional manner. We want to be your Portland dentist and our entire team is dedicated to providing you with excellent, personalized care and service to make your visits as comfortable and pleasant as possible. When you visit our office, your oral health is our top priority. Our entire team is dedicated to providing you with the personalized, gentle care that you deserve. If you need a dentist in Bethany, OR we hope you’ll choose us! 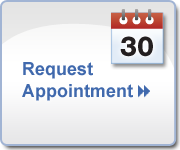 Contact us today for your appointment! Call 503-617-7384.